Don't ever get caught without a wand again! 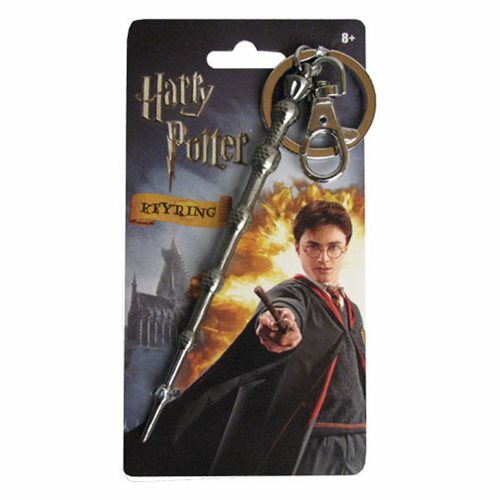 This Harry Potter Dumbledore's Wand Pewter Key Chain is a must for Harry Potter fans. It features a nice replica version of the iconic wand used by Hogwarts headmaster, Albus Dumbledore. Wand measures approximately 4 1/2-inches long. Ages 8 and up.